Shane O’Dea remembers that when they first started growing pistachios people said Wahring was too far South and the trees wouldn’t bear. But Jenny, Shane’s sister, did her research and discovered during the 1970’s the CSIRO trialled pistachios about 80kms from the O’Dea’s farm, confirming they were viable for the Goulburn Valley district. With this knowledge and climate change heating up the Valley they felt pretty confident pistachios would do well. And so it was – even with this year’s drought and 46C days Shane says it’s been a good year at Wahrina Pistachios. Pistachios need the heat, he explains, they flourish in the heat. This year, which is an off-year for their 2000 trees, Shane and his family will still harvest 6-7 tonnes of nuts. Shane shares that recently Jenny was on her way up to an event in Deniliquin and saw a patch of ten pistachio trees – he wonders if they might be those original CSIRO trees. Wahrina Pistachios consists of Shane, his wife, Anne, his sister, Jenny, her husband, David, and Shane and Jenny’s father, Bernie. Bernie, who turned 88 last week, still drives the tractor and works a 10 hour day. David reckons his dad’s drive comes from being one of eight kids growing up very poor on a family farm. Success of these trees is deeply felt. With a frugal and regenerative mindset the family try to find a use for everything they harvest. Stained nuts are cracked for bulk kernels. Shelled nuts can be ground up for soaps or used for smoking food. The really rough nuts are fed to the sheep. Even the skins from the fresh nuts can be used to make jam (they’re searching for an original Persian recipe if anyone has one). 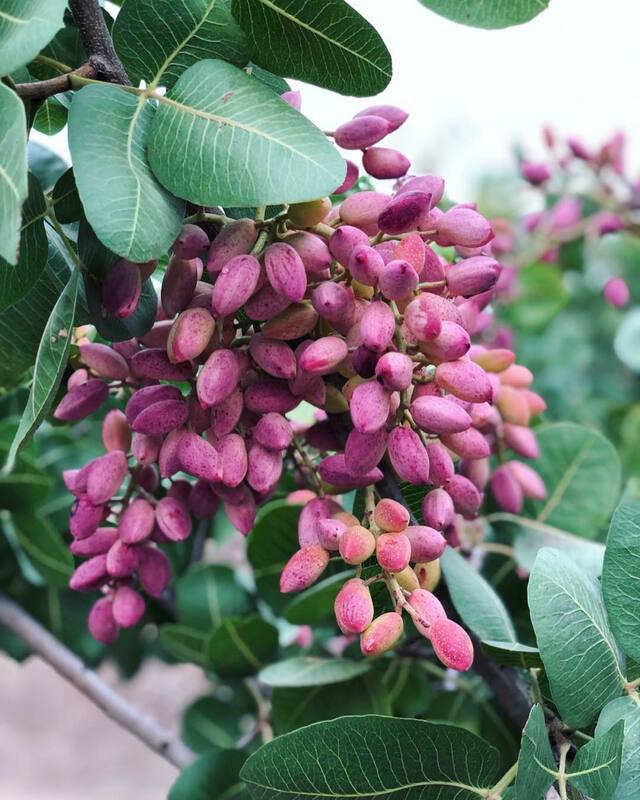 Less than half of Wahrina’s pistachios are dried on the farm, most are sold fresh at farmers markets as well as into the Melbourne Persian community. Iran is one of the world’s largest pistachio producers and fresh pistachios are preferred but very hard to come by. A couple of weeks ago Shane and Anne had a huge day at the Persian Fire Festival in Templestowe serving an endless line of fresh pistachio lovers. Shane says you eat fresh pistachios like young broad beans, peeling off the two outer layers to get to the tasty kernel inside. Keep them in an open bowl in the fridge and eat them within a couple of days. Shane’s pistachios are only available for a week or two and we feel very lucky to have them at Fair Food. Look out for fresh pistachios this week in our produce boxes as well as in the webshop in 1 kilo and 300 gram bags. We’d like to say a huge thanks to Jen, who has been an amazing Food Host at Ellesmere Parade, Rosanna. Ellesmere Parade will be closing after a last delivery this Wednesday 3rd April. 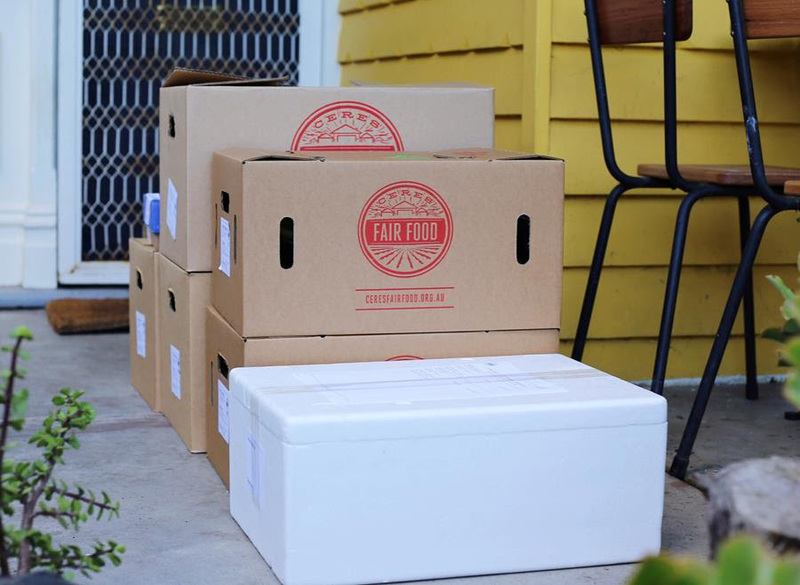 We‘re very fortunate and excitied to have two new Food Hosts to replace Jen, please help us welcome Tina in Watsonia and Tara in Heidelberg Heights who will be opening over the next couple of weeks. Pickups between 4pm – 8pm Thursdays.